I am not sure how I should feel about the show as when I try to think over this episode I just think "simple". This episode made me think that we only have two villains at the moment, there's got to be more of them right? And while I didn't think they killed Tankjoh, I thought it might lead to revealing another villain. Because I can't think of Tankjoh as the Big Bad of the series though he talked as though he is. And I found Kreon amusing this episode. I wasn't really feeling him from the earlier episodes but with this one I was ok with him. There were blacked out silhouettes of six more Druidons in the first ep. Going off the chess piece theme, Tankjoh is clearly one of the Rooks. I suspect we’ll get another Rook, two Bishops, two Knights (one of which is probably Gaisorg, whose silhouette is not featured), a Queen, and a King. I believe it’s already been established that Kureon is not a Druidon, but something else. Gaisorg’s silhouette being absent probably accounts for the uneven number of chess pieces, by my estimation. As for the ep itself, I loved it. This show is shaping up to be something special. Last edited by Kamen Rider Lucha; 04-16-2019 at 02:04 AM..
How couldn't I saw that earlier ? 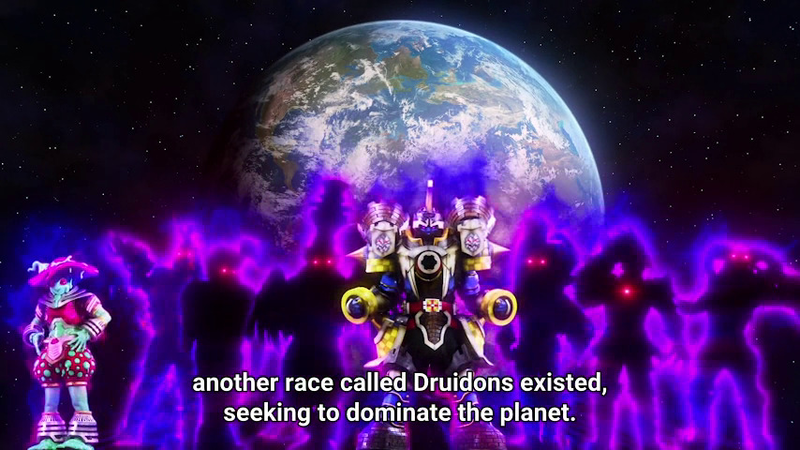 How come Gaisorg is one of the Druidon if his pattern is clearly that of Ryusoulger?